3,101 word post, approx. 7-8 min read. Before we get into the Best Headphone Amp Under $100, grab a snack, sit back and relax because.. There are an abundance of headphone amps out there for under $100, but not all of them are even worth your attention. My philosophy is that generally speaking, anything with under 4 stars on amazon is poop. I have personally never bought a product with that rating, and I don’t plan on doing it any time soon. It has worked for me, and because of that I’ve never returned a piece of gear because it broke down. The other issue is that a lot of websites tend to list out every single option (or most) for under $100, even the bad ones. This only ends up causing a lot of confusion, and today we will try to avoid that at all costs (no pun intended). It’s easy to get caught up in the sea of amps available, but most of the time they are completely unnecessary. In my opinion, there’s too much of an influx of gear out there that it really just ends up overwhelming folks to the point of “analysis paralysis.” This is a term used in the fitness industry a lot due to the sheer amount of “experts”, all telling you to buy their products and do their methods because “this is what works,” not that. The same sort of thing goes on with the music production side of things, because every company that sells an amp is going to tell you what you want to hear, rather than the reality. That all products are flawed no matter how you slice it. It becomes a matter of making trade offs and sacrifices, and accepting that you’re never going to be completely 100% satisfied with anything you buy. A prime example is the Sony MDR V6. This is my go to headphone 99% of the time, and I will likely never sell it because it’s so valuable and has an incredible price to performance ratio. It’s ear pads are infamous for breaking down, flaking, and peeling to a startling degree. Luckily the are replaceable. The coiled chord is annoying, and is prone to tangling pretty badly after a year or two of heavy studio use. It doesn’t have a replaceable cable, or an option for a straight cable without a DIY project. Other than that, the headphone is the easiest recommendation I could ever make. Another example is something like an Audeze LCD series headphone. Sound wise, they are some of the best on the planet. Perfect bass response, balanced/flat mid-range, and a semi dark treble that sounds heavenly and never too bright. Here’s a good graph of my favorite, the LCD-X. It’s liquid and smooth baby! When you put them on, it feels like you’re literally wearing a size 8 bowling ball. No joke. Amps suffer from this same sort of phenomenon, but in a different way. The problem is that there are simply too many to choose from in this category, and most will break down over time because of how cheap they are sold for. This is why I like to recommend the high end of the price range, i.e. just a hair under $100. I personally would never buy one for like $25 unless it was for strictly testing purposes and it had at least a 4 star rating with plenty of reviews. The FiiO E6 dances around these parameters, but I still don’t see the point in buying it when you could save some more money and get something much better. The product must be over 4 stars, and preferably at least 4.4/4.5. The product must be researched thoroughly from a bevy of websites and reviews. It’s really that simple. There are some exceptions to this rule though. Sometimes reviewers have no idea what they are talking about. Sometimes they gave a poor review and didn’t specify why. Sometimes they gave a poor review and their claims turned out to be wrong. Often times there’s just not enough reviews for a good Consensus. I do my best to take all this and more into account. Generally speaking though, I won’t buy anything on Amazon if it’s not at least 4 stars. 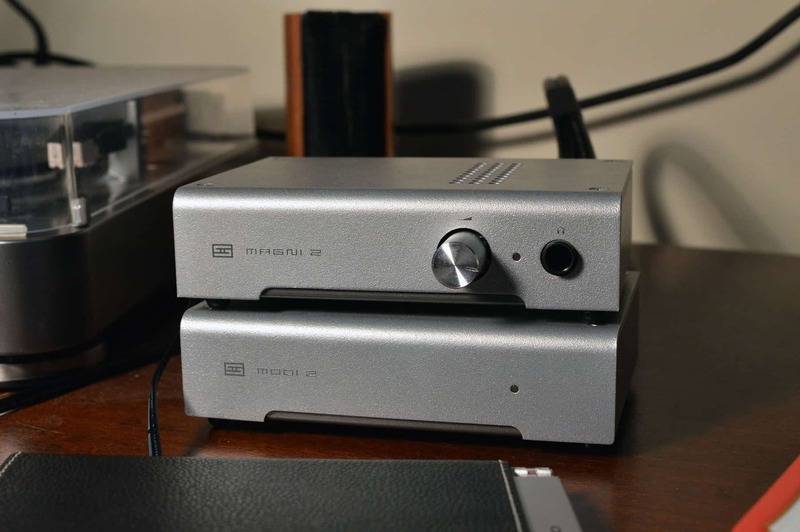 How will you know if you need an Amp/DAC? A simple way of looking at it is that lower sensitivity headphones need current to make the diaphragm inside the driver move (resulting in sound), but they also need more power from the amp to reach optimal loudness levels (around 110dB is the standard). A higher Sensitivity headphone doesn’t need as much. What is Sensitivity in Headphones? As an example, a headphone like the 300 Ohm HD600 has a Sensitivity of 97dB and needs about 20mW of power from the amp to reach peak loudness. Something like the Oppo HA2 provides 30mW into 300 Ohm, so it just makes the cut. This is also why it’s important to know the power output of the Amp in question. A headphone with a higher Sensitivity (something like 105dB) only needs 2.5mW of power from the amp to perform optimally. You can see the difference! On the flip side of that, consider the FiiO E6. It only outputs 16mW into 300 Ohm, and is only good for low impedance headphones. The Dragonfly Red outputs 2.1 Volts, and will effectively work with 99% of headphones. The Dragonfly Black outputs 1.2 Volts, and is a bit more limited but still tends to out perform an E6. So the question is, why even bother with the E6? The answer is that you should just save some more money and go with something else. So in the case of Impedance and Sensitivity, numbers do matter. A lot. They make all the difference in knowing just how much power you’re going to need for any headphone in question. It’s also important because it saves you money in the long run. If your headphone doesn’t need a lot of power, it makes no sense to buy an expensive amp that supplies a lot of it. On the flip side, an Amp like the Objective 2 is so valuable because it’s output impedance is close to zero, it’s dirt cheap, and it’s super powerful meaning it has enough to drive basically any headphone, completely free of distortion. This is why I recommend it all the time to people. It’s an investment that will serve you well for a long time. If you decide to upgrade headphones down the road to something with a Higher Impedance and Low Sensitivity, the Objective 2 will still be there, ready to help. The closer to zero, the better. There is some debate out there on this method. Related: What is Output Impedance? For me this wasn’t true with the HD600 out of my dad’s receiver. The sound was pretty bad and in no way ideal. 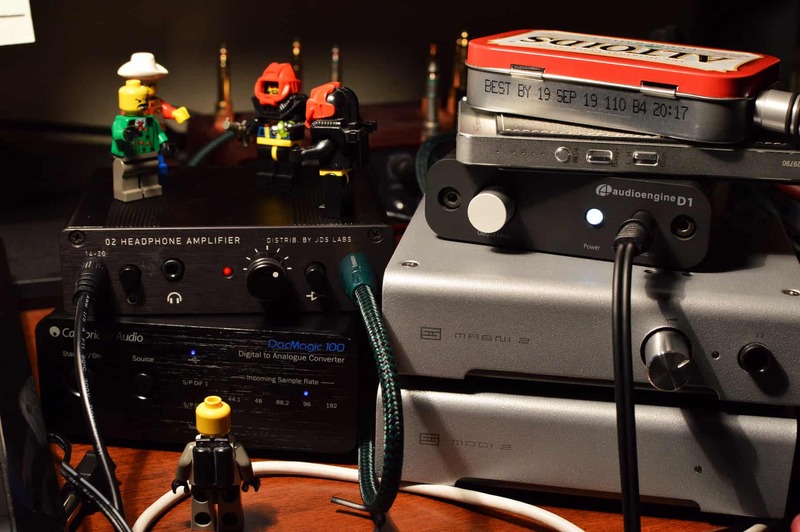 A low output impedance (close to zero) means that the Amp in question will deliver the same amount of power irregardless of the Impedance load from the headphones. A higher output impedance might the power to the headphone will change and behave erratically which mirrors my experience with the HD600 out of a standard receiver. However, this isn’t always the case. The HD600’s do sound fantastic out of my old Panasonic SA AK403. I’m pretty sure the output impedance on that model is fairly high, but I’m not entirely sure. NwAvGuy (Northwest Audio Visual Guy) who is responsible for the creation of the fantastic JDS Labs 02 Amplifier wrote a great article on this. The main takeaway is to only purchase amps that have an output impedance of 2 or under. The closer to zero the better. A quick google search will do wonders in determining this number on a spec sheet. Back in 2014, my remedy was to buy an audio interface and hook it up to some Studio Monitors. 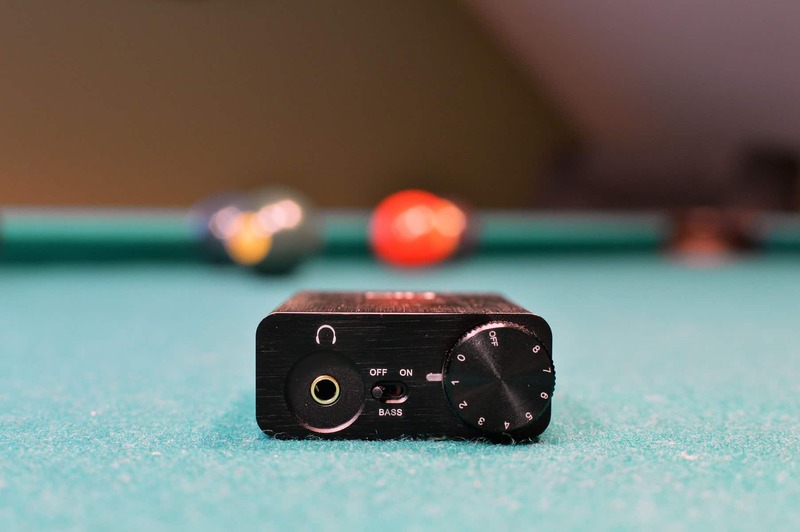 The interface also acts as an Amp/DAC for your headphones, and results in a much better sound than the one out of your standard PC or laptop. What does an audio interface do? Even despite the fact that the Scarlett 2i2’s output impedance is about 10, it still works pretty well with lower impedance headphones. I did notice a difference in comparing the sound quality out of it vs. an amp proper like the Schiit Magni. Fortunately, most machines and phones nowadays have pretty good internal Soundcards, so you may not even need a DAC. That segways perfectly into Amps & DACS below $100 that are worth the investment. Schiit Magni with a Modi or DAC Magic. I have version 2, but 3 has since come out and boy howdy does this puppy deliver. I was talking with a guy at Audio Advice and we both agreed that the performance of this amp should render it a lot more expensive than it is. As mentioned earlier, the 3 provides 430mW of power into 300 Ohms, which is reason enough to just stop everything you’re doing and purchase one. The Magni Uber version comes with and extra pair of RCA inputs, and the Modi 2 Uber has USB, Toslink/Optical, and RCA inputs meaning you can hook it up to a receiver and blast your favorite tunes. You can also use it for Gaming as well by hooking it up to your console or your PC if you like to game there. The Best Headphones for Gaming! It is important to note that you will need to add a DAC with this one, which does up the cost. JDS Labs Objective 2 with a Modi or DAC Magic. This beast was designed and built by NwAvGuy (Northwest Audio Video Guy) and has been praised the world over. It’s one of the most sought after amps around the internet, and for good reason. I got a chance to demo one and the sound provided through the amp is incredibly clean, crisp, and neutral. With an output impedance of 0.54 Ohms, it will power nearly all headphones without issue. I do prefer this over a Magni 2, but the differences are ever so subtle and it may just be my imagination. Please keep in mind that the Amps themselves are just under $100, but with an added DAC (required) the price goes up. For under $100 this is my top recommendation easily. The sound quality is comparable to most everything I’ve heard, including a Schiit Magni, Audioengine D1, 02, and Dragonfly Red. It’s not quite as powerful as a Schiit stack, but for the majority of situations you’ll be fine and you may not even be able to tell a difference with a headphone like the Sennheiser HD600. Learn more: Sennheiser HD600 Review! I had no trouble powering my 600’s with it, and the overall character of the amp is very crisp, neutral, and clean. I had so much fun with it that I didn’t want to take my headphones off actually. Right now I have it paired with a MrSpeakers Aeon Flow and the sound is excellent. This baby is a lot more capable than people give it credit for. It should keep you satisfied and content for quite a while before you decide to upgrade. This is a great #2 recommendation for under $100, as it’s portable, convenient, and roughly the size of a Tic-Tac. Well not that small, but you get he idea. It can go anywhere, much like a real Dragonfly! Learn more: Audioquest Dragonfly Red vs. Black. The reason I put this at #1 is because of the almost impeccable sound quality, portability, versatility and price to performance ratio. Also learn more about the Dragonfly Red: Audioquest Dragonfly Red Review! Use it with your phone or laptop/PC. I fully enjoyed my time with this one, as it provides a ton more power than I was expecting and works well with a wide variety of headphones including my Sennheiser HD600’s. Anything more than this and you’re bound to get overwhelmed. To be honest, buying a good amp isn’t that difficult, and any of these are going to sound really good. They all get the job done, and they all sound great. The differences between them are more subtle than you would think. Higher end Amp/DACS will sound better, especially with more expensive headphones. But if you’re just beginning, all of these should be on your immediate radar. If I had to choose one out of this lot, I would probably go with the FiiO E10K. It’s extremely portable, and has a fantastic sound that does rival a lot of more expensive set ups. Need more juice? The Dragonfly Red is unbelievable but you’ll need to save an extra $100. SEE THE RED FOR YOURSELF ON AMAZON!! And for a desktop solution with nearly any headphone, the 02 is the way to go! SEE THE 02 FOR YOURSELF!! Well that’s about it for today folks! 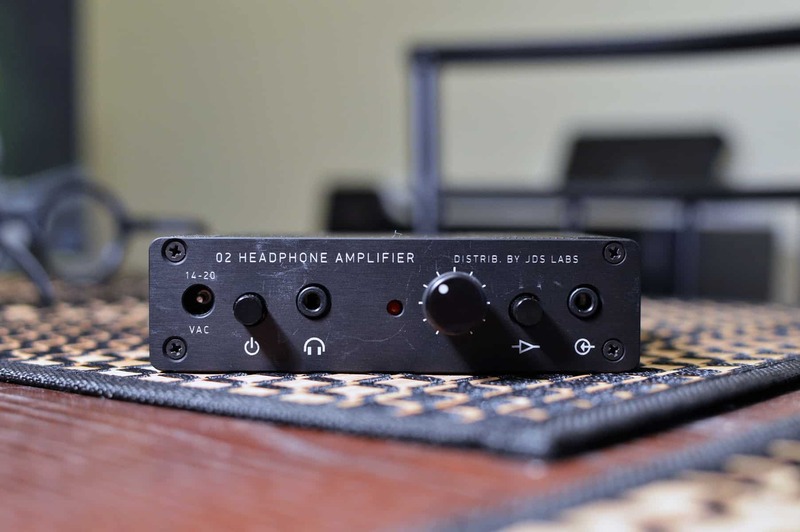 I hope you’ve enjoyed this article on the best headphone amp under $100, and came away with some valuable insight.